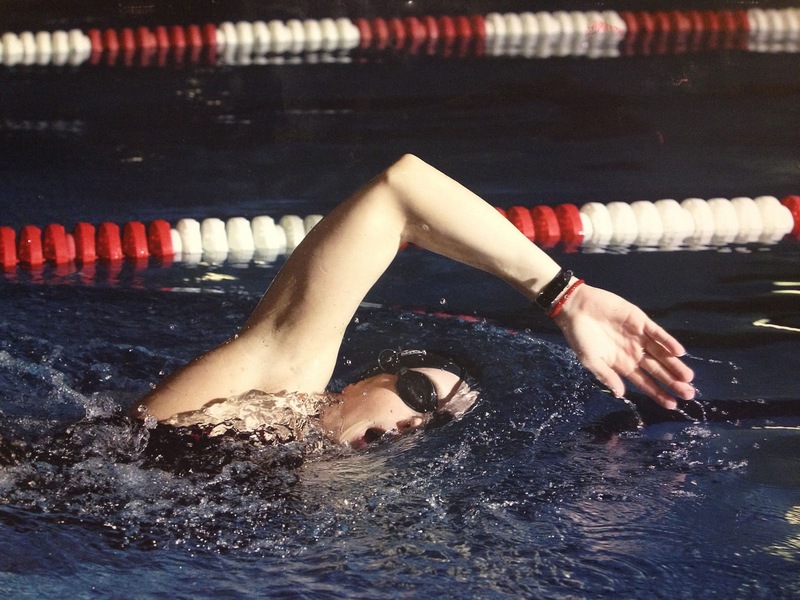 Bates Swimming and Diving recently hired Vanessa Williamson '05 as our new assistant coach! Vanessa was not only co-captain in 2004-05, but was part of our programs two best finishes at the NCAA level - 17th and 18th in 2003 and 2004. As the most decorated swimmer in Bates Swimming history with her eight All-American performances - and eight varsity records upon graduation - Vanessa brings a wealth of knowledge and experience to a program on the verge of a National level presence. Her success as both a NESCAC champion and National meet finalist are fantastic accomplishments, and will serve us greatly in terms of preparation, advice, and a vision for what is possible at Bates. Further, upon leaving Bates Vanessa traveled to Irvine, California to train under Olympic Head Coach Dave Salo - with teammates like Amanda Beard, Jessica Hardy, and Rebecca Soni! Her connections to swimming, big meets, and elite programs is truly unparalleled (i.e. 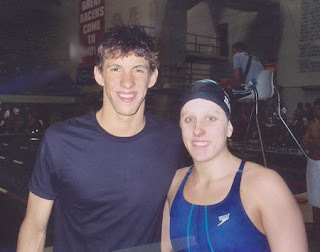 hanging with Mr. Phelps, see photo to the right). After the '08 Olympic Trials, Vanessa decided to stay in California and has been coaching ever since. With five years of head coaching experience at the high school level - as well two stints as a guest coach with us on our training trips - we are clearly getting someone that loves Bates, can help my athletes "get it," and coach with knowledge, expectations, and goals. She has hit the ground running and is already proven to be a huge asset before the season has even started. Welcome aboard Vanessa... It's going to be a great ride!